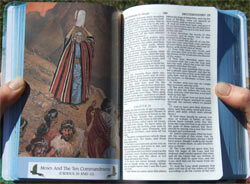 This Bible is called the Seaside Bible for children. 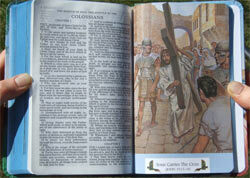 It is the King James Version with Jesus words in red and it also has many realistic full color Bible pictures. 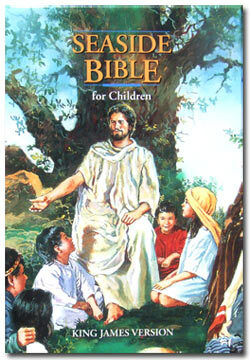 We often use this Bible when holding childrens programs. This Bible also makes a very nice gift.